Despite the development of preventive vaccines, human papillomaviruses (HPVs) still infect more than five million women each year, significantly increasing their risk of cervical cancer. I am working to identify how HPV multiplies so that we may develop drugs that can defeat the virus once it has infected an individual. Arne Stenlund and colleagues have obtained a detailed understanding of processes required for initiation of DNA replication from the papillomavirus, using this system to gain a general biochemical understanding applicable in other systems. Papillomaviruses are a large viral family that induces cell proliferation at the site of infection, usually giving rise to benign tumors. But certain types of human papillomaviruses (HPVs) generate tumors that progress toward malignancy. Among these are HPVs that cause most cervical cancers. 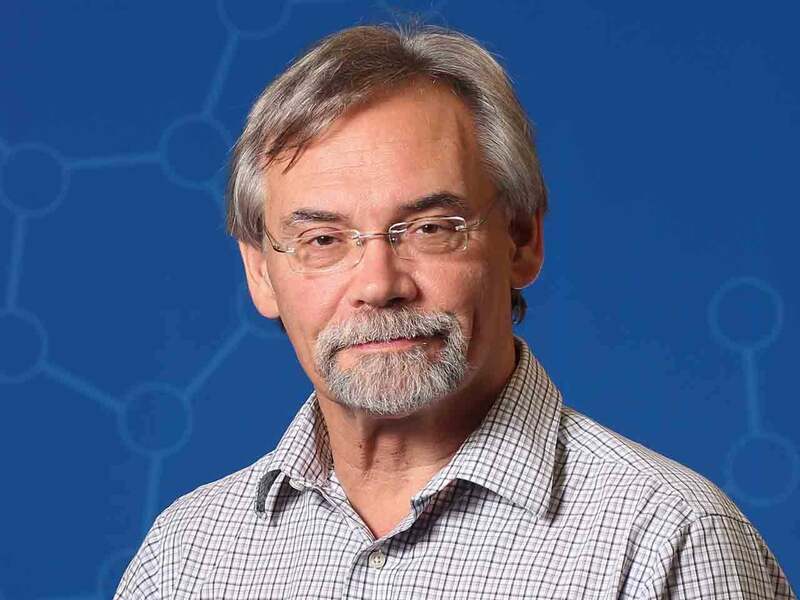 Members of the Stenlund lab also pursue studies aimed at developing an effective small-molecule inhibitor of HPVs that might someday be used by women who do not receive the preventive anti-HPV vaccine now available or those already infected with HPV who would not be helped by the vaccine. Liu, X. and Schuck, S. and Stenlund, A. (2010) Structure-based mutational analysis of the bovine papillomavirus E1 helicase domain identifies residues involved in the nonspecific DNA binding activity required for double trimer formation. J Virol, 84(9) pp. 4264-4276. Liu, X. and Stenlund, A. (2010) Mutations in Sensor 1 and Walker B in the bovine papillomavirus E1 initiator protein mimic the nucleotide bound state. Journal of Virology, 84(4) pp. 1912-1919. Liu, X. and Schuck, S. and Stenlund, A. (2007) Adjacent residues in the E1 initiator beta-hairpin define different roles of the beta-hairpin in Ori melting, helicase loading, and helicase activity. Mol Cell, 25(6) pp. 825-37. Schuck, S. and Stenlund, A. (2005) Assembly of a double hexameric helicase. Mol Cell, 20(3) pp. 377-89. Stenlund, A. (2003) Initiation of DNA replication: Lessons from viral initiator proteins. Nature Reviews Molecular Cell Biology, 4(10) pp. 777-785.